Roscoea humeana is one of the genus of perennial plants in the family Zingiberaceae. It originates from the Yunnan region of China. 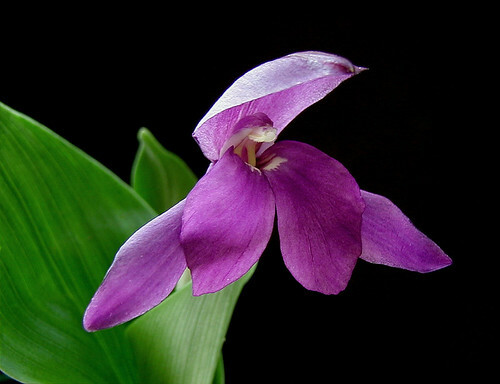 It is usually one of the earliest flowering of the Roscoea's in the garden, blooming in April and May on short stems about 12" tall. It does best in a sunny spot, planted in a moist, well-drained, humus rich soil, but it is very tolerant. It can be divided during dormancy, from October to March.